Universal Wrist Charger | OhGizmo! I’ll be honest… I usually carry around three (yes, three) different mobile charging apparatuses when I know I’m going to be out with my gadgets all day: one of these, one of these, and this. Is it overkill? Probably. But being a ::cough:: professional journalist, running out of batteries is simply not an option. Even I, however, would not wear a universal wrist charger. It’s just too dorky, and I’m really more of a geek. Or I like to think so, anyway. If you just look at the numbers, this universal wrist charger is actually pretty decent: it has a 1500 mAh battery, weighs 82 grams, and will charge anything that only needs 5 volts (same as a USB port). Since most of your gadgets are probably hand-held, it’s a convenient way to be using something and charging it at the same time. Problem is, there’s really no getting around the utter dorkiness of this thing. If it also had a little LCD on it or something, you could at least pretend that it was some kind of ridiculously fancy watch, but as it is, it just has 4 little lights to indicate what level of charge it has. Wait a sec… Random lights? Weird design? I’ve got it! Just tell everyone that you’re sporting the latest and greatest from Tokyo Flash, and wear the universal wrist charger in anonymous pride. Problem solved! 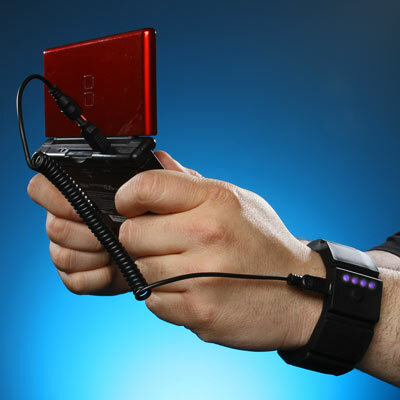 The universal wrist charger is available now from ThinkGeek for $35. I guess I'm a dork, 'cuz I could totally see myself use that. Me too. It looks like a gamer band. 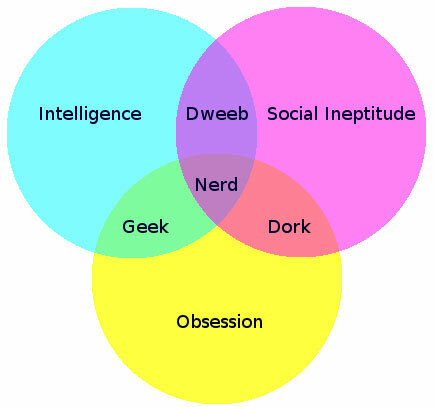 I don't see the “dorky” nature of it.